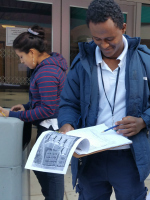 Are you an educator looking to engage your English for Speakers of Other Languages (ESOL) students in real-world investigations of their waterways, natural resources, and watersheds? ICPRB offers bilingual educational materials in English and Spanish that may be used “as is” or adapted to fit your students’ needs. Click on each program title to see program descriptions and lesson plans. As this is the first edition of our bilingual lessons, we welcome your thoughts on their usefulness and possible improvements. ICPRB’S Score Four: Students, Schools, Streams, and the Bay Program culminates with Student Stormwater Action Projects to reduce water pollution. But before students turn one shovel of dirt, they conduct a series of investigations of their school’s watershed and campus. Students assess permeability, stormwater dynamics, pollution sources, and soils. 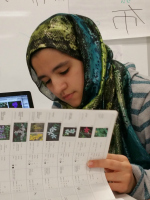 Using their findings, they plan and implement a Student Stormwater Action Project. 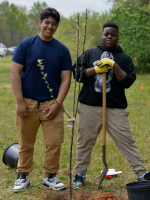 Projects can be conservation landscapes, rain barrels, tree plantings, rain gardens, and more. Best for grades 9-12; can be adapted for middle school. We recommend using lessons from each of the following categories sequentially. Most lessons involve a presentation and student inquiry or activity. For more information, refer to the Score Four Lesson Framework. Lessons in English can be found here. Students learn about their local waters, pollution sources, and solutions for stormwater pollution. 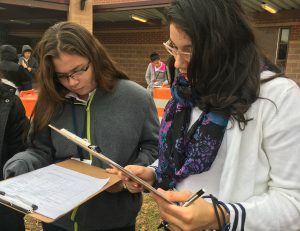 Students discover how their school campus contributes to stormwater pollution. 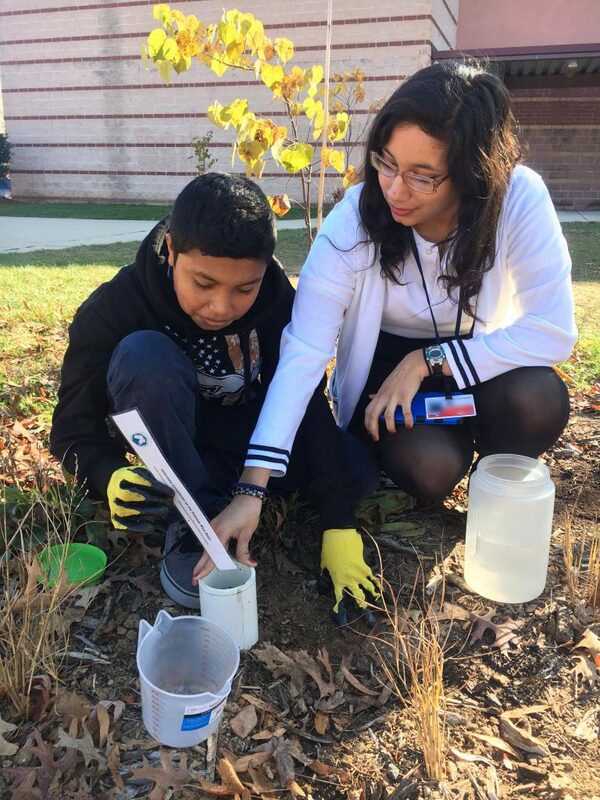 Students investigate factors that affect the growth of plants and trees; set goals for their Stormwater Action Project; pick their site; design a project; and start planting. Students plan and create a maintenance schedule to ensure the project continues to meet the class goals for years to come. 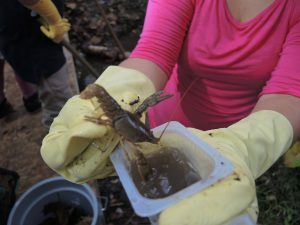 ICPRB’s Water Ways program helps teachers (middle through high school classes) start stream ecology or monitoring programs. The program includes presentations, hands-on activities, and resources. The presentations can be done as a series or as stand-alone lessons. Lessons in English can be found here. 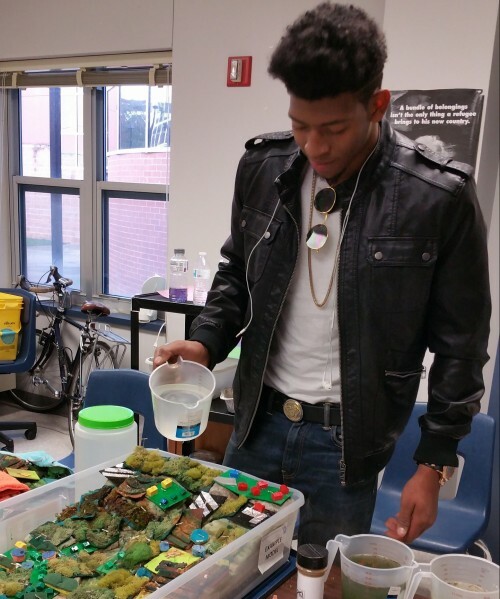 ICPRB’s Watershed Connections program links the connections between watersheds, land use, and water quality, while using a hand built watershed model that students can use to investigate historical land use, water pollution, and the use of best management practices to reduce stormwater runoff. Lessons in English can be found here.